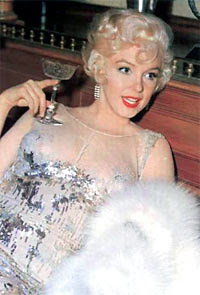 Whatever people might think of Marilyn, the one thing nobody can contest is that she was glamorous. A generation of Glam Girls had gone before her, but she took glamour to a whole other level. Countless have imitated her look and style, but she always remains the touchstone. Rarely a season goes by that doesn't include its share of Marilyn dresses. 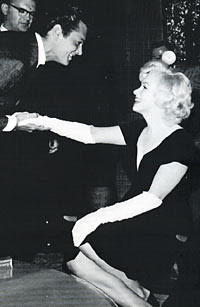 What better time than this fall, the "Old Hollywood Season", to wear a little Marilyn ourselves? "How to Marry a Millionaire." All Marilyn Monroe images from my personal collection. 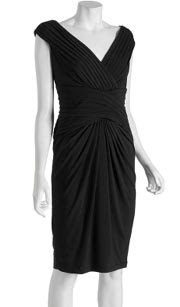 All dress images from their respective sellers. Marilyn Monroe: the Christina Aguilera of her day. Often emulated but never duplicated. Christina Aguilera: the Marilyn Monroe of her day.